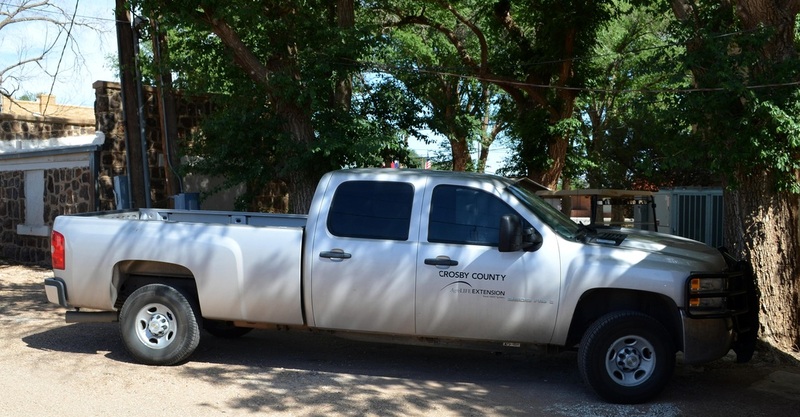 "Crosby County is on the eastern edge of the southern High Plains, bounded on the west by Lubbock County, on the north by Floyd County, on the east by ﻿Dickens County﻿, and on the south by Garza County. 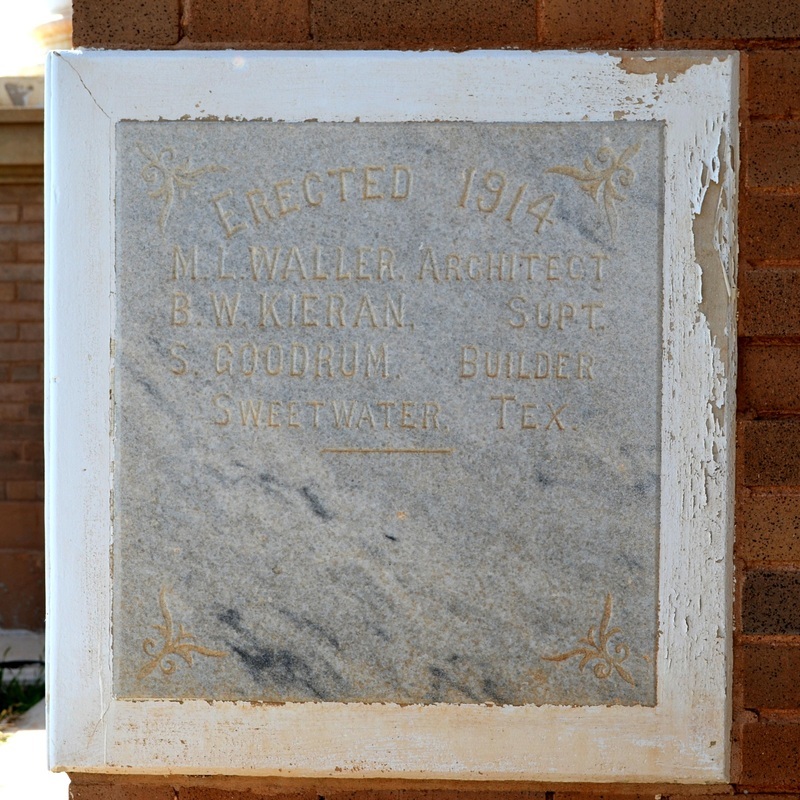 It was named for Stephen Crosby, a Texas land commissioner during the mid-nineteenth century. 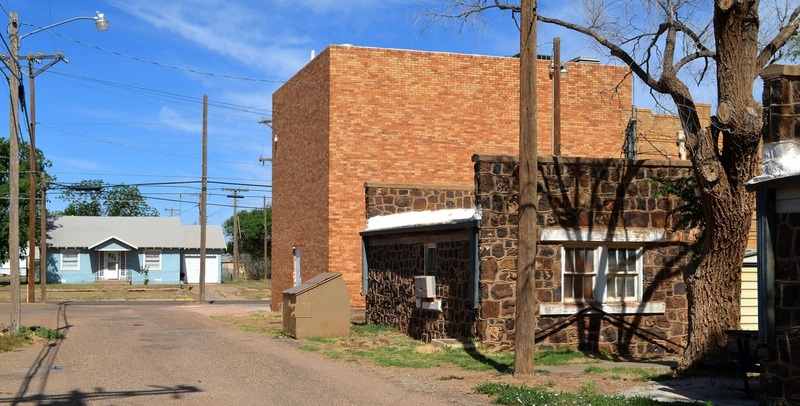 "Most of the western half of Crosby County, flat land covered by rich loam, lies above the Caprock, and the eastern part of the county and its southwestern corner are broken country below the Caprock. 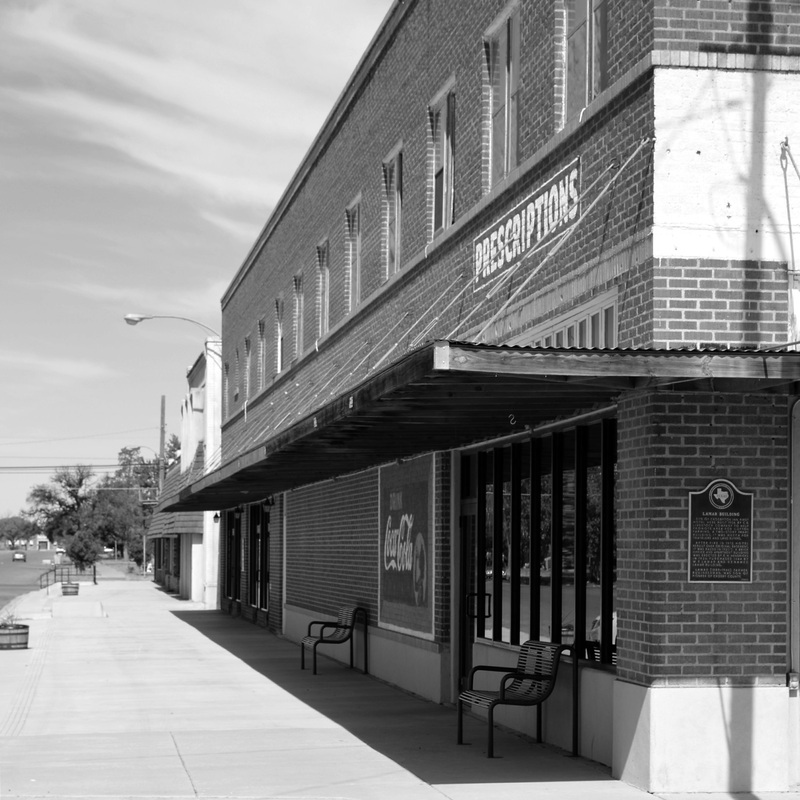 Drainage is to the forks of the Brazos River, White River, and numerous playas. 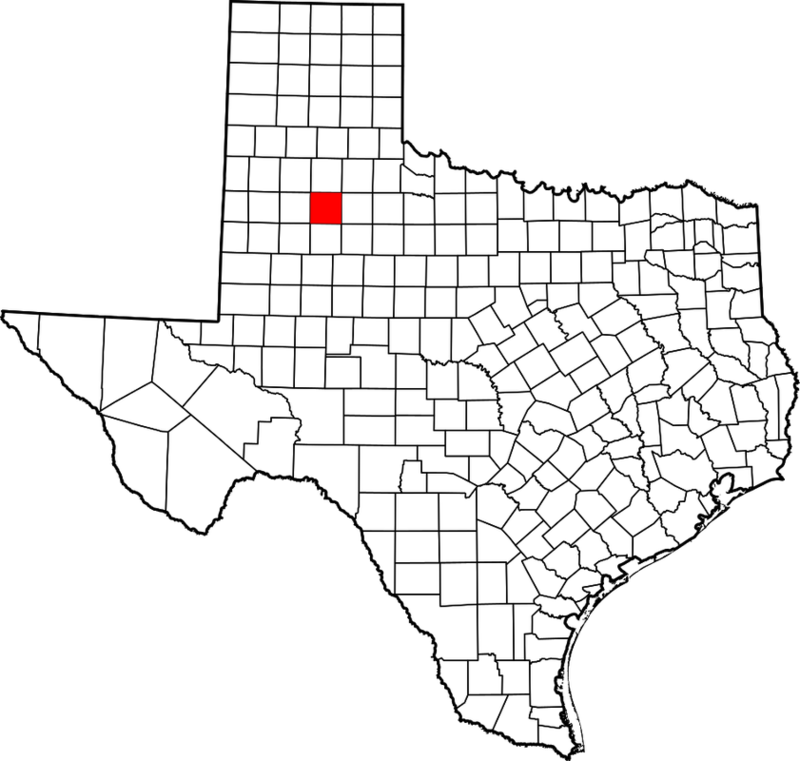 The county covers 911 square miles; its altitude ranges from 2,100 to 3,200 feet. 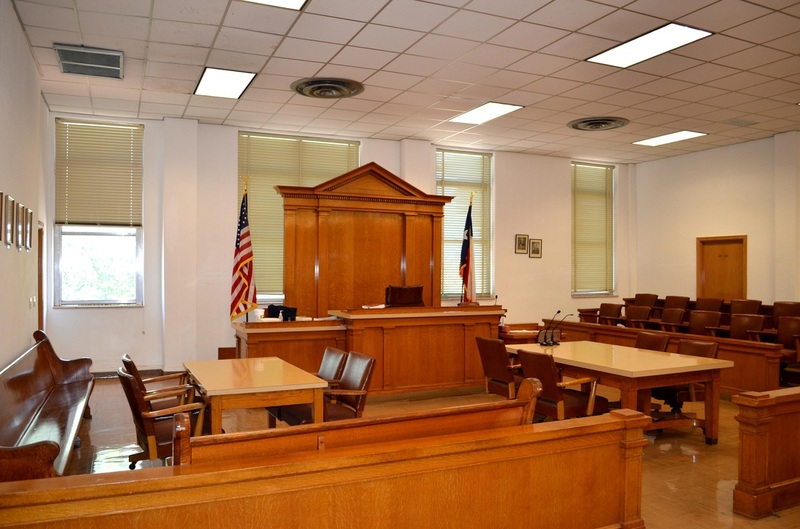 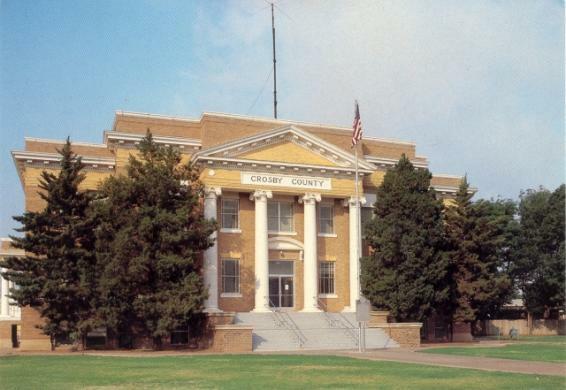 "In 1876 the Texas legislature formed Crosby County from lands previously attached to the Young and Bexar districts. 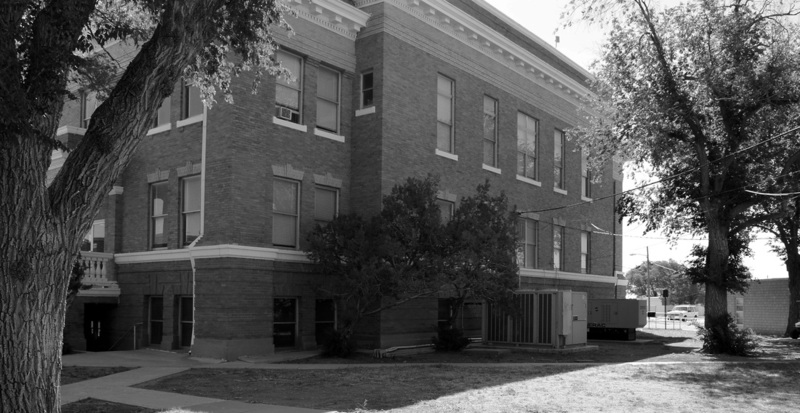 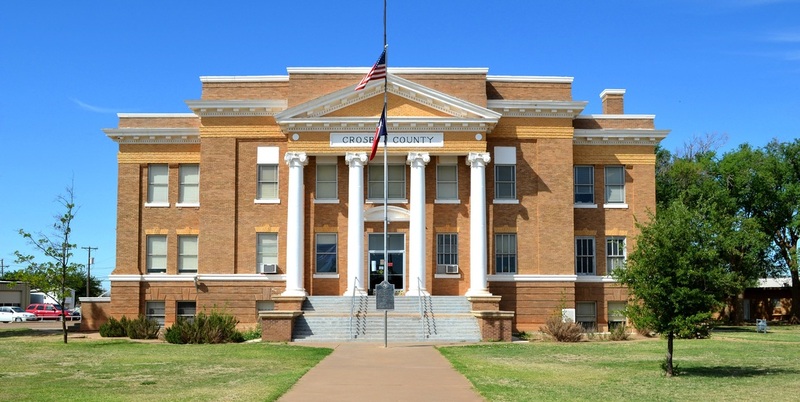 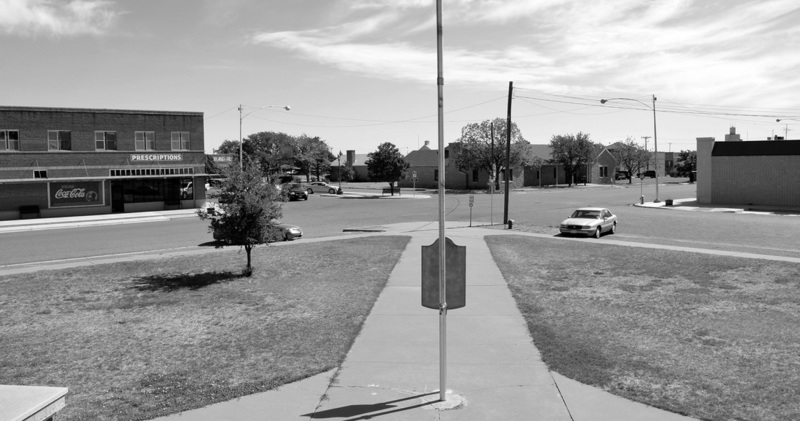 Crosby County was formally organized after elections held in 1886, with Estacado (the new name of the town formerly called Marietta) designated as the county seat. 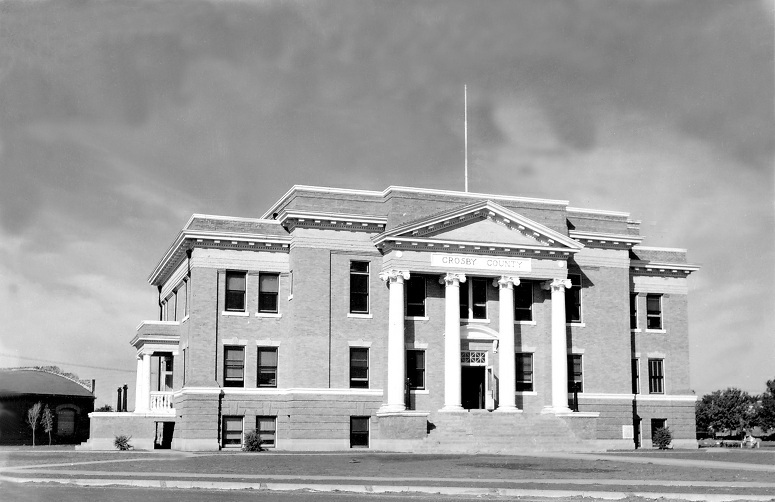 In 1891 Emma became the seat of government. 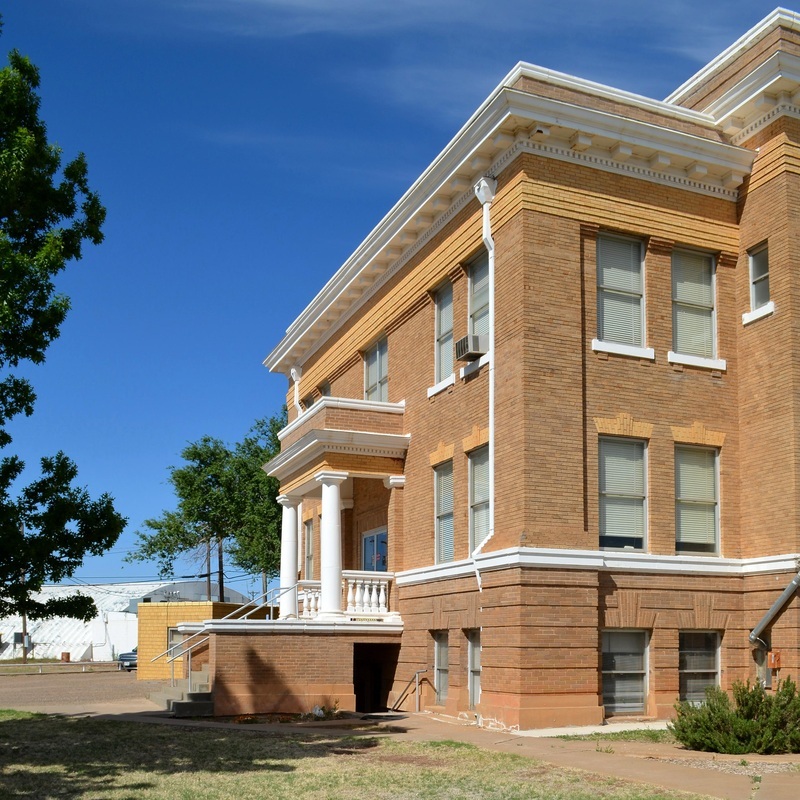 The transition from the era of the giant cattle ranch to one of mixed farming and ranching accelerated during the early twentieth century, when many farmers moved into the area to grow cotton. 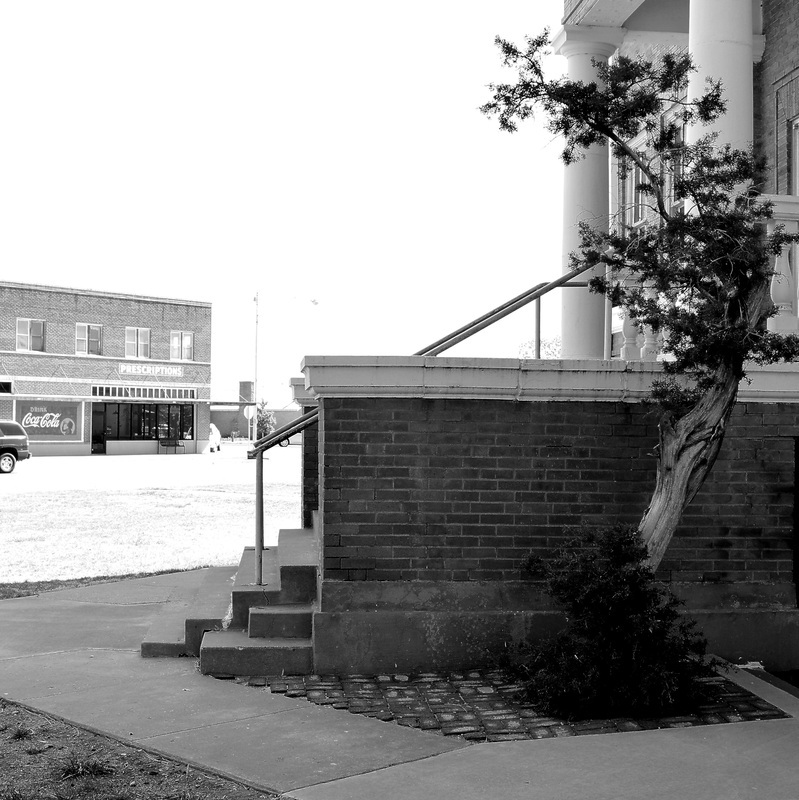 "Emma, the county seat, faded away after the railroad was routed five miles to the north of the town. 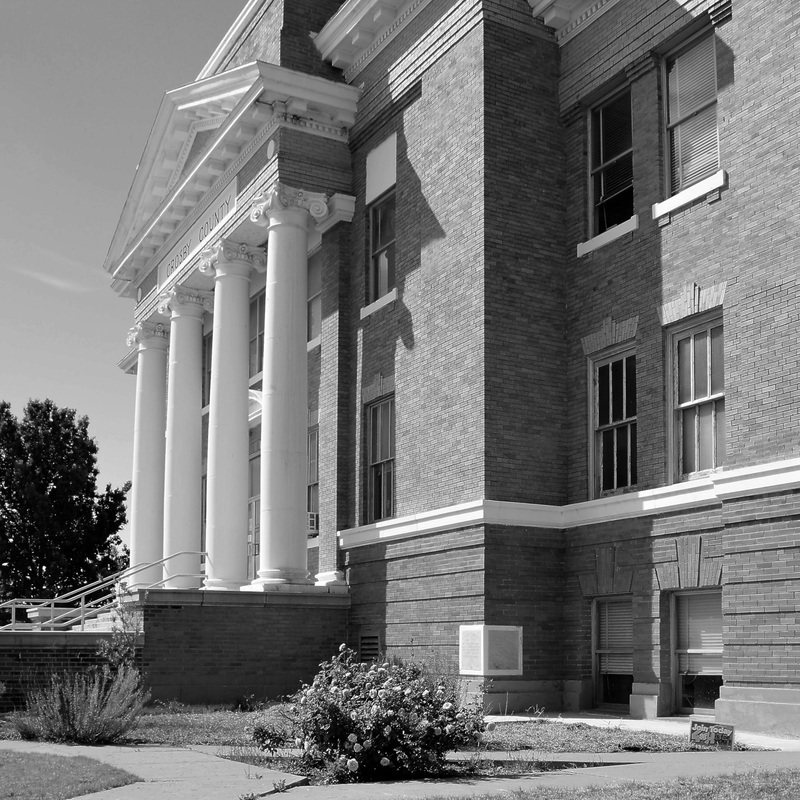 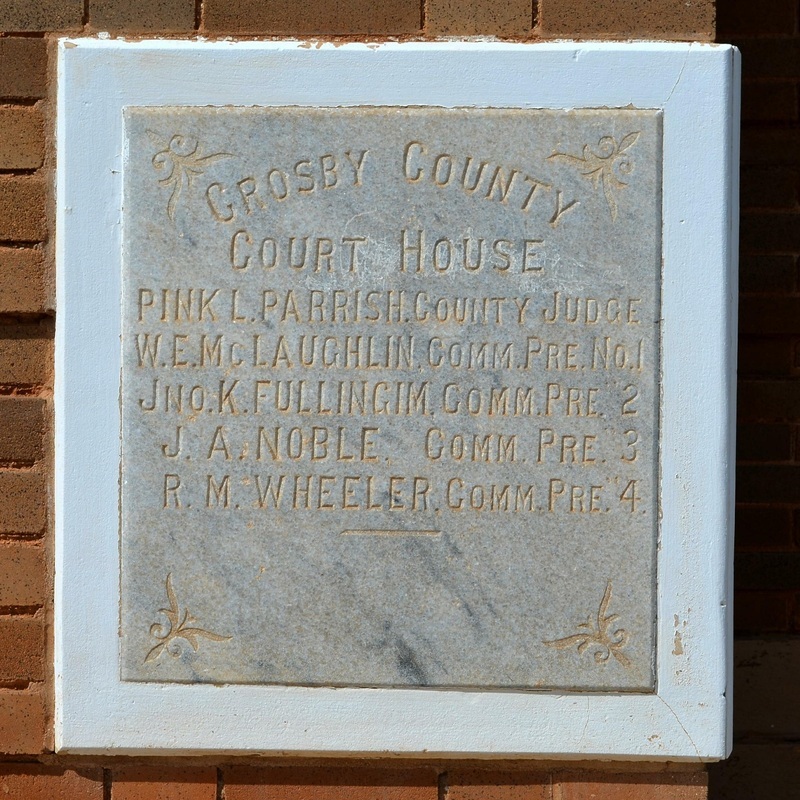 In 1910 Crosbyton became the new county seat." 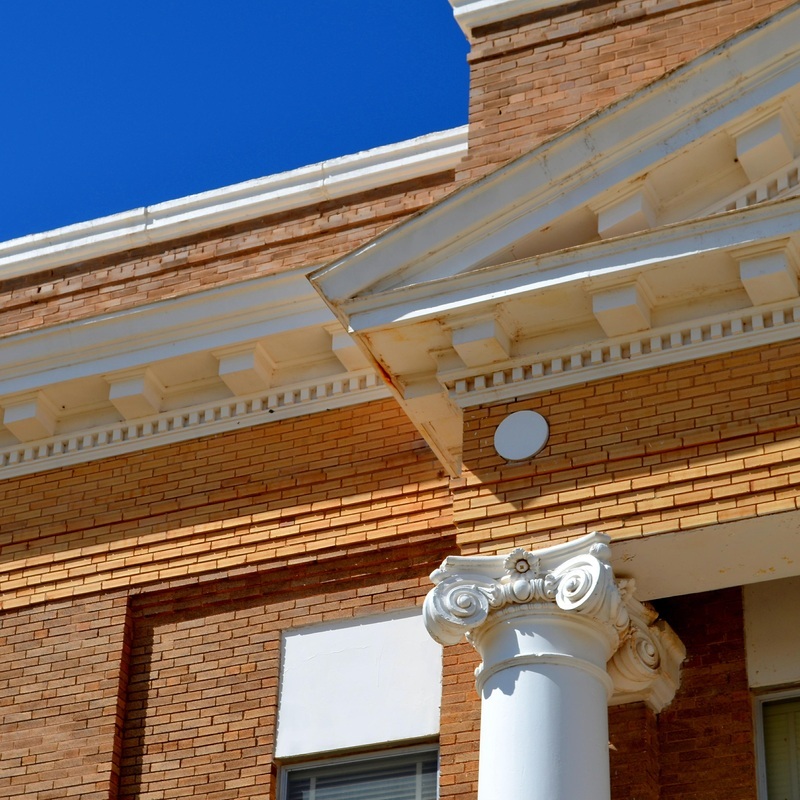 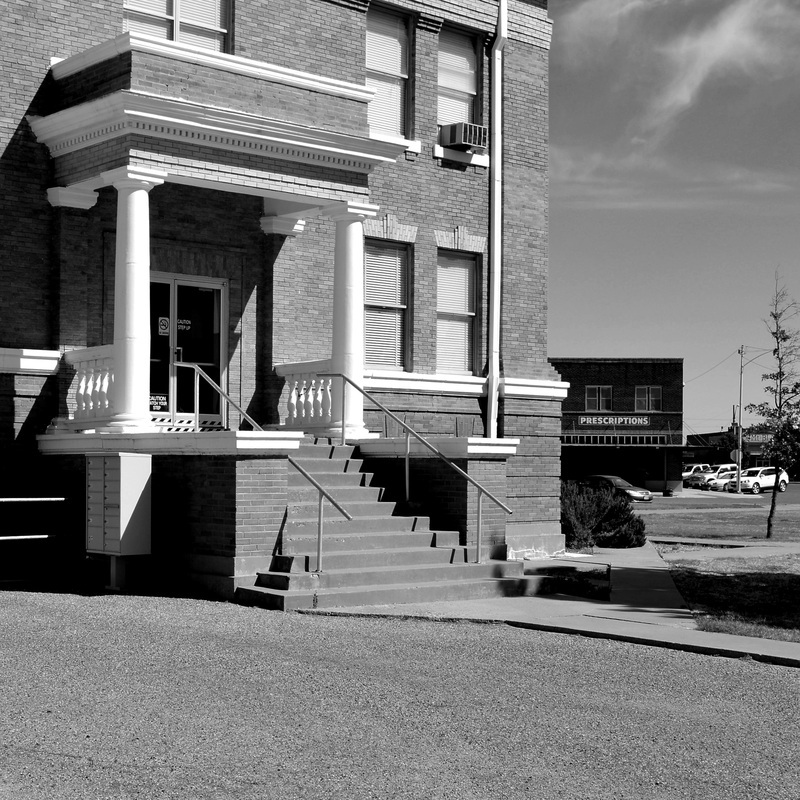 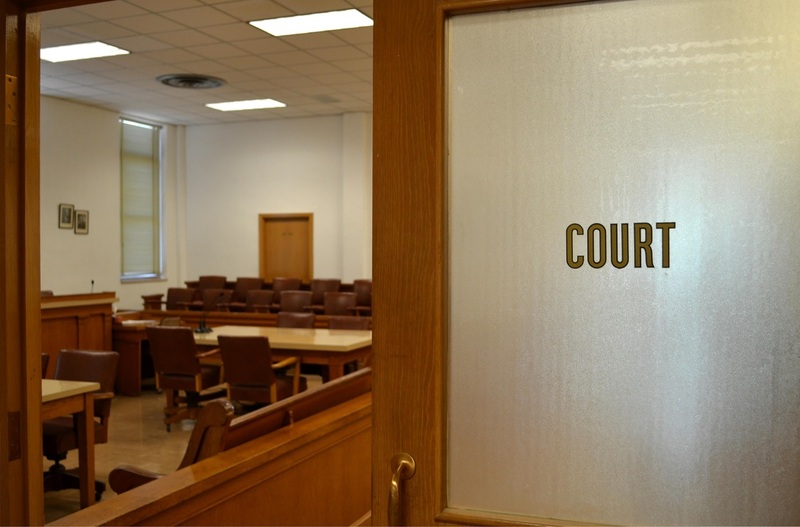 I visited Crosby County and photographed the courthouse at Crosbyton on Friday, May 9, 2014.